All State Van Lines Relocation is a licensed broker helping customers make the move to their perfect home. A customer service representative from All State Van Lines Relocation discusses the integral parts of a significant move, including the need for communicating regularly with movers on this important project. 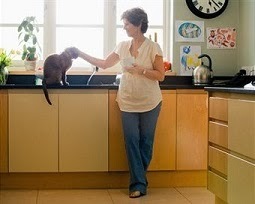 Q: In the days and weeks before a move, what are the most critical tasks to complete? All State Van Lines Relocation: Carefully examine the details located on the inventory list, order for service, written estimate and other important documents prior to signing them. Q: Where can people find information about all of their moving options - companies, services, etc.? All State Van Lines Relocation: The best strategy is to request recommendations from friends, relatives and neighbors. The Better Business Bureau also contains listings that may prove beneficial. In order to find the most appropriate solution for their particular situation, people should ask for estimates from three or four different moving companies. By comparing and contrasting the different quotes, a person can make the right choice for their individual situation. According to All State Van Lines Relocation, its mission is not based solely on attracting customers. All State Van Lines Relocation strives to make each customer satisfied with the service provided by a staff of trained professionals. Countless surveys have shown the distinct correlation between excellent customer services and sales revenue. All State Van Lines Relocation cites a recent survey from the Customer Experience Impact Survey stating that 86 percent of consumers are willing to pay more for a satisfactory customer experience. What’s more, All State Van Lines Relocation sees that 73 percent of consumers trust recommendations from family members and friends. People who enjoy a positive experience with a business’s customer service personnel will tell others about the experience, says All State Van Lines Relocation. Customer service is the key to the success of any business, says All State Van Lines Relocation, a moving broker located in Margate, Fla. The company offers a competitive compensation package and laid-back working environment but says their employees enjoy other benefits as well. Here, All State Van Lines Relocation answers questions about its latest employee acknowledgment, Customer Service Appreciation Week. 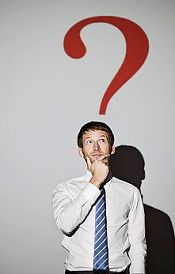 Q: How important are customer service representatives to the success of a company? All State Van Lines Relocation: Good customer service is the single most important aspect to a company’s success. Without it, customers will always go somewhere else. All State Van Lines Relocation is a Florida-based moving brokerage firm that coordinates residential and corporate moves and relocations nationwide. Q: Moving is an important step for a family or company. Where does one begin? All State Van Lines Relocation: Before hiring a mover, be prepared to research at least four or five companies. 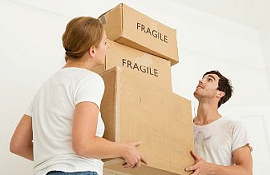 The best way to find reliable movers is to ask lots of questions and get everything in writing. Q: What kind of questions to start? All State Van Lines Relocation: Start by asking how long the company has been in business. If it’s only been a few years, the next question is extra important: “Can you provide me with some recent references?” Also check online consumer review boards, although they can be less than reliable. Third, ask to see all state and local licensure and ask if they are licensed for local and interstate moving. According to All State Van Lines Relocation, many baby boomers ask the same retirement question: Should we move to a lower-cost area? 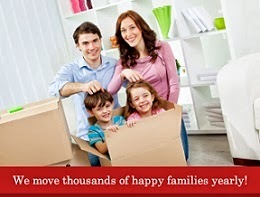 Moving makes sense for many people, says the All State Van Lines Relocation team. However, it is important to make wise decisions before you decide to pack up and leave. Here are some thoughts from the team at All State Van Lines Relocation about what retirees need to consider before moving. There are many reasons for moving, but most are likely finance related, such as finding a city with a lower cost of living, downsizing to a smaller house, and choosing a state with lower income tax. Other reasons may be to enjoy milder weather, to be closer to family, or to avoid such things as yard care, snow removal, and walking up and down stairs. Also, a state with a lower income tax rate means more available income for retirees. For those who don’t have adequate income from Social Security and pensions, finding ways to reduce expenses are crucial, says the All State Van Lines Relocation team. All State Van Lines Relocation is a brokerage business that coordinates relocations for businesses and families nationwide. Located in Margate, Florida, All State Van Lines Relocation works to match clients with a prescreened moving company that will offer the best in affordability and service for each family’s individual needs. Q: What does it mean to be a moving broker? All State Van Lines Relocation: We work with clients to determine their needs and match them with a mover that has been screened and found to be affordable and reliable. It is our goal to help everyone, from a first-time student off to college to relocating families and businesses. We also provide useful information to assist with the relocation process. All State Van Lines Relocation provides moving assistance to people changing homes or business locations by securing the best moving company for each individual situation. A full-service moving broker, the company has the experience and contacts in the industry to help moves progress as smoothly as possible. FORT LAUDERDALE, Florida – September 14, 2013– All State Van Lines Relocation recently thanked their staff with a week-long employee appreciation event. The festivities commenced early Monday morning with a free breakfast. All State Van Lines Relocation provided hot waffles, fresh eggs, and a variety of savory samplings and decadent pastries. Customer service and administrative staff were fueled up with ample coffee and juice to drive their workweek in the right direction. © COPYRIGHT 2013. All State Van Lines Relocation. ALL RIGHTS RESERVED. Powered by Blogger.